Sand Key, one of Florida’s barrier islands on the gulf coast, is a welcome hushed respite away from the more congested beaches in Florida. Clearwater Beach, Florida and its neighboring barrier island Sad Key create a popular vacation destination, resort lifestyle, and beach-life vibe. Whether you’re a visitor seeking a place to stay while you play, a resident looking for a staycation, or considering relocating to the area, Sand Key, Florida is worth exploring. Sand Key Park is the place to play for fun in the sun and soaking in the rays on the beach. The park has various features including a brown-sand beach chock full of seashells perfect for collecting, a rare salt marsh ideal for bird-watching, playgrounds, picnic areas, and even has a dog park, fishing, nature trails, concession stands, and more. Sand Key park charges a parking fee, but has plenty of parking and has virtually no crowds compared to other area beaches. Also housed at Sand Key Park is the artificial reef program, a combined effort from various departments to build a Gulf reef. Sea turtles gather here at Sand Key Park to lay eggs, a process that is overseen and managed by the Clearwater Aquarium. Sand Key is home to two resort hotels including Sheraton Sand Key Resort and Clearwater Beach Marriott Suites Sand Key. 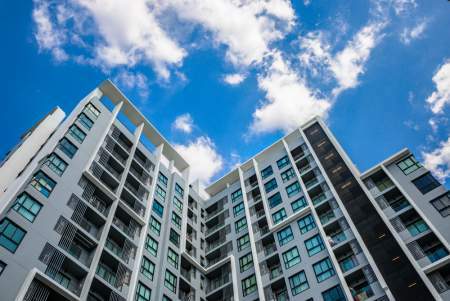 Each resort offers luxurious options and amenities, perfect for staying in to explore the area before a move, or for a staycation to enjoy a getaway without going anywhere. In the Sand Key, Clearwater Beach area, there are hundreds of stores to choose from in an array of shopping platforms. Enjoy browsing through unique boutiques, specialty shops, tourist shops, big box retail stores, malls, and more. When you’re in the Sand Key area, you’re only an appointment away from a day at the spa for a plethora of pampering options such as massage, facials, manicures and pedicures, and a variety of health and beauty treatments. Got golf? Sand Key does! Within Sand Key and surrounding areas, there are ample public golf courses and private country clubs from which to choose. Enjoy a day relaxing on the greens chatting it up with companions while kicking back a few cold ones. You won’t go hungry in Sand Key. Within just a few miles and minutes there are endless dining options from quick and casual to fine dining experiences imbued with romance. Delight in the rich and delicious flavors of shrimp, lobster, and seafood or order up a juicy cut of prime beef cooked to perfection, complimented by a glass of wine, cocktail, or sparkling beverage. Getting from place to place in Sand Key is a breeze with the Jolley Trolley and other public transportation systems, taxi cabs, and ride share programs. The near perfect weather, ample amenities, lavish luxuries, creature comforts, and quiet beaches contribute to the appeal of Sand Key, Florida. The barrier island receives approximately 52 inches of rain per year over about 70 days with measurable precipitation. The sun shines on the sandy beaches 240 days out of each year. Summer high temperatures are around 90 degrees with winter lows of around 57 degrees. Sand Key Florida is about 1.5 miles long and home to some of the most amazing beaches along the Gulf of Mexico. Sand Key condos are popular because of their amazing views AND it’s easy to get on and off the beach via the high span Belleair Causeway Bridge. Here you will find that in this Clearwater neighborhood it’s mostly property owners and not much seasonal rentals. Also with limited day parking outside of what’s available at Sand Key Park located on the north end of the island and it’s not unusual to feel like you’re on a private beach retreat when you’re in Sand Key. 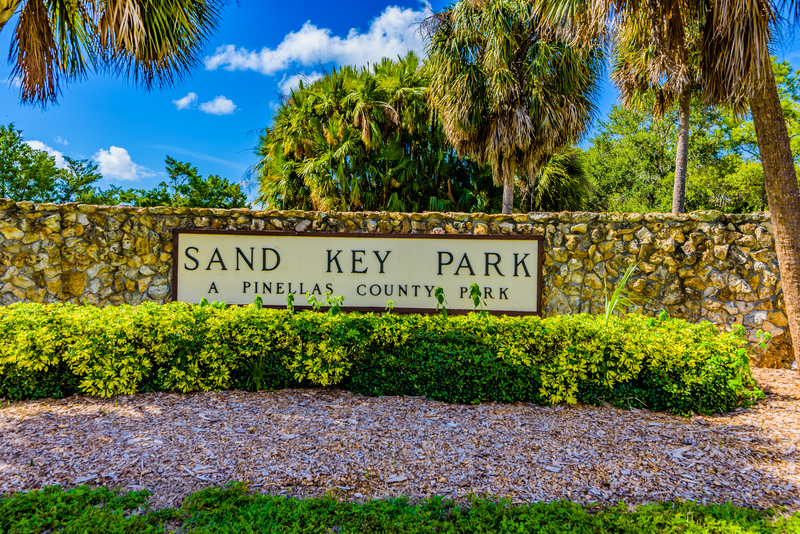 The Sand Key Park is located on here and is a large Pinellas County Park that has lots of public parking along with a wonderful dog park split into big dog and little dog areas. They also have covered picnic table areas you can reserve, playgrounds, public restrooms and then on the beach you can rent a variety of things for fun like jet ski’s. There is one small strip of shopping on Sand Key which is the Shoppes of Sand Key also on the North end of Sand Key. 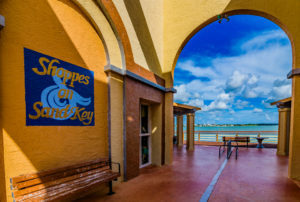 There a a few places to eat and shop so you don’t have to leave the Sand Key neighborhood when you’re here and many people enjoy the walkability of it. One of my favorite restaurants in Sand Key Florida to eat is the Columbia located here the Shoppes of Sand Key on the water. It’s cuban food history goes back to 1905 and boasts some of the best cuban food in Tampa Bay. One of their specialties is their 1905 Salad which you can see being made here. Another local favorite is Backwaters which is at the other end of the strip. For a quick coffee or breakfast snack there is also a Dunkin Donuts there as well. Rusty’s at the Sheraton on Sand Key is another popular restaurant on Sand Key Florida. One of my favorite things to get is the fried Calamari. They do it hammered out thin with light breading that tends to melt in my mouth. There are also places to eat at the Marriott on Sand Key as well. It’s a great place to live the Florida Lifestyle and if you’d like our help with buying or selling- please give us a call at 727-710-8035.